Pack your sunglasses, your weight in sunscreen and the biggest, floppiest hat you've got. It's time for a trip to Phoenix, and here are 10 really good reasons why. Ever wonder what 114 degrees feels like? Phoenicians can tell you -- in fact, they just felt it the other day. Yep, August in the Valley of the Sun is, well, sunny. At a certain point, all the dryness in the world can't distract from this kind of heat. Here's the thing, though. Summer in Arizona can be a whole lot of fun -- you just have to work with it. Make sure to wake up early. Early as in, pre-dawn. Go get coffee, go take a walk, whatever you like -- just make sure to accomplish as much as you can before mid-morning. Then, move it over to the pool -- or, if you don't have access to a pool, take it inside. Make sure to nap at some point, too. (If you're dropping in from a humid climate, you'll quickly discover that desert naps are the best.) Then, once the sun begins to lose power, emerge from your hiding place for an evening on the town. Sound fun? Pack your sunglasses, your weight in sunscreen and the biggest, floppiest hat you've got. It's time for a trip to Phoenix, and here are 10 really good reasons why. For the best fares available to PHX right now, click here. 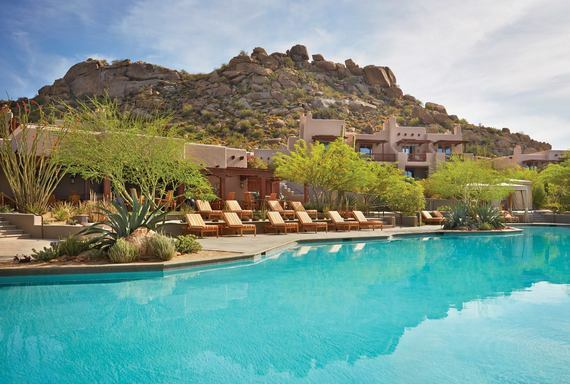 There are discounted hotel stays, then there's Phoenix/Scottsdale in August. Check into one of the best Four Seasons resorts in North America for just $139, down from hundreds more during winter. The rooms are beautiful, the pool is great, a pristine location high above it all makes this one of the valley's best places to stay. 2. You can play one of the top courses in the world for $39. 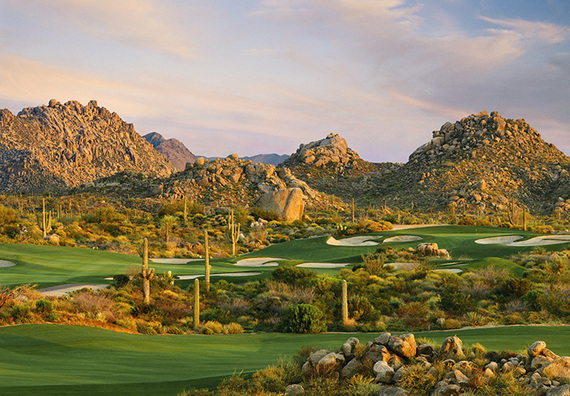 There's a reason why -- as previously stated, it's hot -- but the bucket list-worthy Pinnacle Course at Troon North (incidentally, that's the planned community where the Four Seasons is located) goes for a fraction of the normal cost on summer afternoons. Prefer an early tee-time? That's only $69, still quite the steal. 3. Then again, there's always a hike. Those are free. Sunrise from, say, Camelback Mountain, or Pinnacle Peak, is impressive year-round, just as hiking in this part of the world is fashionable. During summer, though, you're obviously going to get an earlier start. Make sure to bring water and a hat. 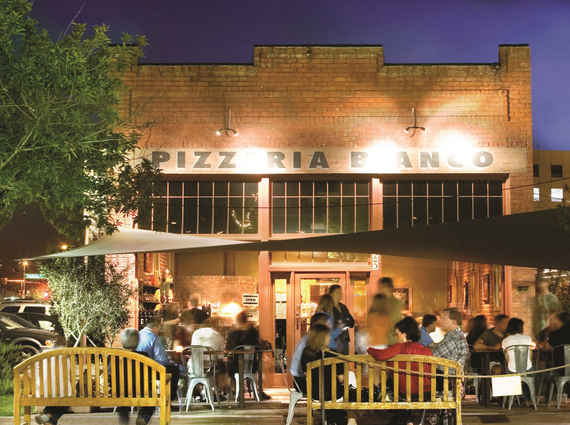 As you might imagine, taking things easy is a popular summer pastime in Phoenix -- luckily, you're never far from a very good watering hole. 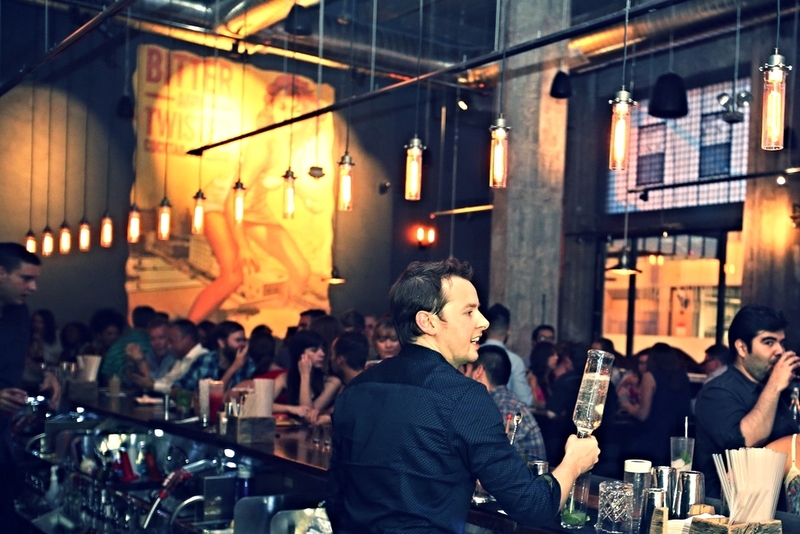 Downtown, for example, Bitter & Twisted is one of the latest in a crop of class-act cocktail parlors around town that are worth your time. Great happy hours are abundant, too -- at Barrio Queen Tequileria in Scottsdale, house margaritas are just $3 every day from 2 p.m. - 6 p.m. More of a beer drinker? Papago Brewing Company's Orange Blossom Ale is a refreshing summer favorite -- you'll find it on tap along with 29 other great beers at Papago's Scottsdale pub. 5. Hungry? There's plenty to eat. The Valley is still fairly big on the kind of restaurant that feels as if it were dreamed up in a corporate boardroom, but chilled-out neighborhood spots like Tuck Shop and the more recently-added Urban Vine have lately been offering a more authentic, ingredient-focused antidote to so much "concept" dining. Of course, if you're a first-timer to Phoenix, your dining adventure must begin with at least the caprese sandwich at Pane Bianco on N. Central Avenue, if not a pizza at one of two locations of the world-famous Pizzeria Bianco. Yes, Chef Chris Bianco's food is hyped. Yes, it's that good. 6. Of course, there's more to do than eat. The Sonoran Desert is among the most beautiful on the planet. Luckily, it's all around you. 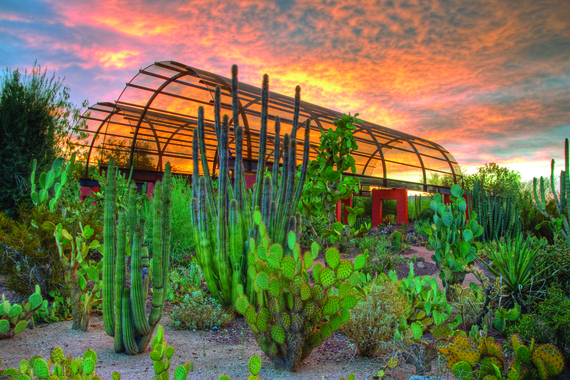 Get an eyeful without leaving town by visiting the airport-adjacent Desert Botanical Garden, which comes pretty close to near-essential status on any Phoenix itinerary. What's that, you say - too hot for a summer visit? The garden offers in-depth Flashlight Tours every Thursday and Saturday at 7p.m. Problem solved. 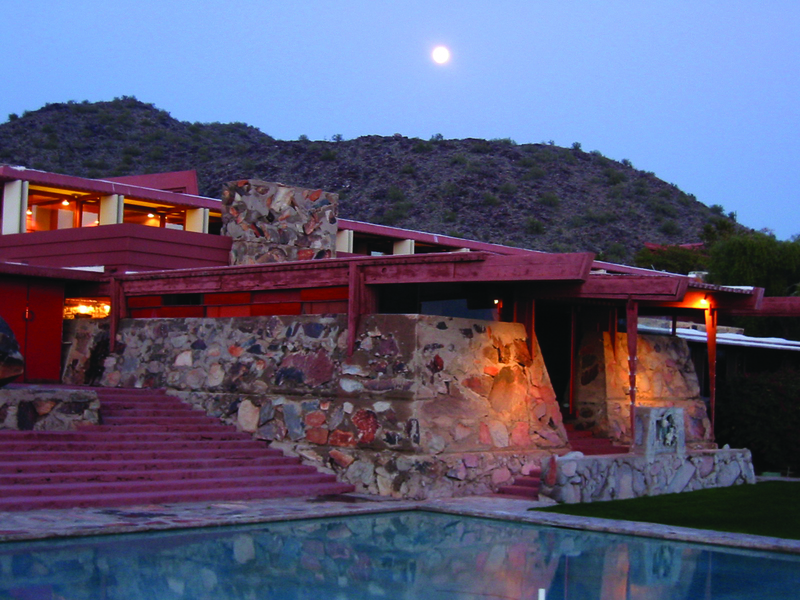 Back in the 1930s, Wright bought a patch of desert outside of Scottsdale, constructing the Taliesin West campus, which famously blends in with its stunning surroundings. A two-hour Night Lights Tour is offered twice on Friday evenings. Architecture buffs shouldn't miss this. 8. Or, perhaps you prefer a little air conditioning. 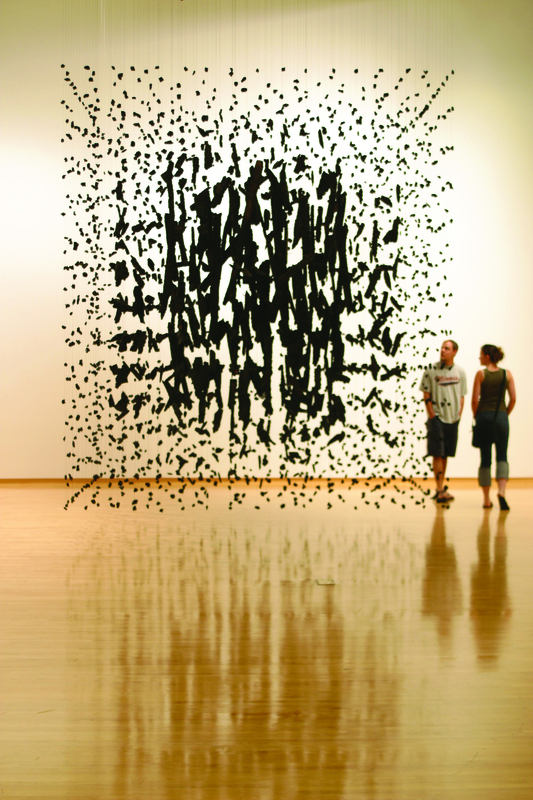 From climate-controlled galleries at the Phoenix Art Museum (not to mention the fascinating Heard Museum) to Diamondbacks games in air-conditioned comfort at Chase Field, this is one town that'll keep you cool when the weather outside is another kind of frightful. Not to worry. 9. Unless, of course, you're the sweat-it-out type. Seasoned types already know this as one of the best spa destinations in the country. Curious? Summer's a great time to get introduced - the renowned Sanctuary Camelback Mountain offers 50 percent off a second 60-minute treatment when you book one, Monday-Thursday. 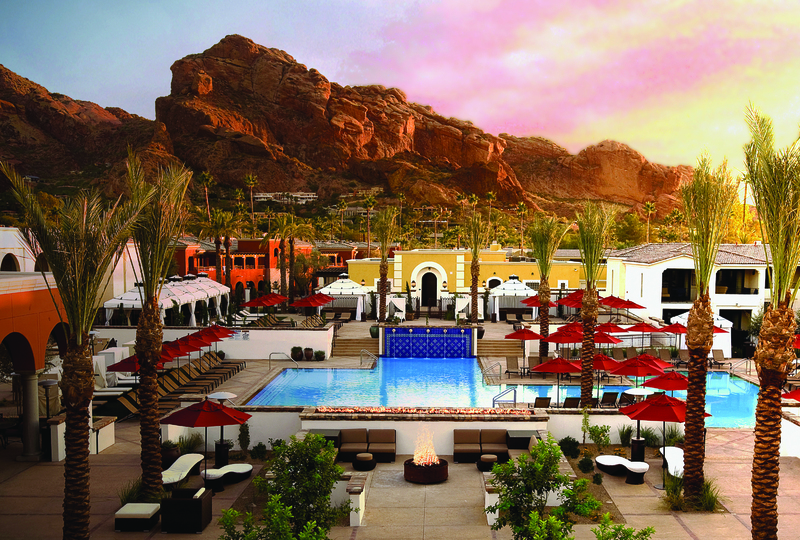 Mondays, the Omni Montelucia Resort offers an "All Day Happy Hour" deal -- a 50-minute massage or facial for $95. 10. Need a real cool off? Flagstaff's just two hours away. Visitors sometimes forget -- there are places in Arizona that aren't nearly as, well, oven-like at this time of year. 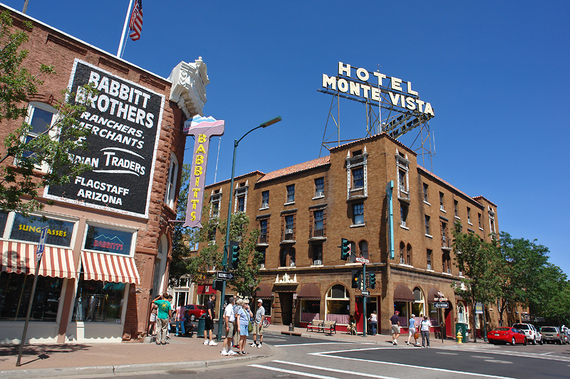 For example, take the college town of Flagstaff. An easy drive up I-17, this pleasantly walkable city rests at nearly 7,000 feet above sea level and is surrounded by forests and mountains. Sure, it warms up, but not like Phoenix. Tip: Make the very-worthwhile detour through Sedona along the way for a glimpse of those famous red rocks.